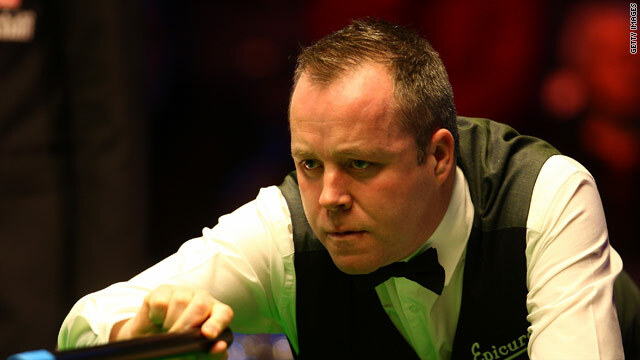 (CNN) -- The 2009 snooker world champion John Higgins has said his "conscience is clear" following allegations of match fixing. British newspaper The News of the World claimed the 34-year-old accepted a $398,000 bribe to throw frames in future matches during a meeting with undercover reporters in Kiev, Ukraine. However, in a statement read out on the BBC, the Scotsman denied ever intentionally losing a match or taking a bribe at any point in his career. "My conscience is 100 percent clear," said Higgins. "I have never been involved in any form of snooker match fixing ... I have never deliberately missed a shot, never mind intentionally lost a frame or a match." Snooker's governing body -- The World Professional Billiards and Snooker Association (WPBSA) -- announced through an official statement that Higgins had been suspended from future tournaments pending an investigation. I have never been involved in any form of snooker match-fixing. The same statement confirmed his manager, Pat Mooney, resigned from his position on the board of the WPBSA after he was alleged to have been at the meeting with Higgins in Kiev. The three-time world champion claimed clearing his name will be the biggest challenge of his career and he will assist snooker authorities with the forthcoming investigation. "Today is the start of the biggest match of my life. I will co-operate fully with the snooker authorities. I have built my reputation on honesty and integrity." Higgins is one of the most successful snooker players in history and has won game's top prize on three occasions, taking last year's championship in addition to previous triumphs in 1998 and 2007. This is not the first time controversy of this kind has hit the sport. In 2006 Australian Quinten Hann was given an eight-year ban from the sport when he was found guilty of breaking rules relating to match-fixing. Match fixing in sport is frequently linked to illegal betting syndicates, where bribes are offered to influence the outcomes of sporting events. Simon Clare, a spokesperson for British-based bookmakers Coral, believes worldwide regulations on gambling would prevent illegal betting. "The sports betting market is absolutely immense, it's millions [of dollars] a week being bet. When there is those sums of money changing hands, if it's not a regulated betting market, if people aren't license holders, then there's more to gain for them" said Clare. With the British betting market heavily regulated, Clare believes there would be no benefit for companies like Coral in taking these risks. It is in coutries where gambling is illegal that Clare says the problem lies. "There's nothing to gain for a legal, licensed firm to be involved in corruption because it would be the end of a very lucrative business for them."